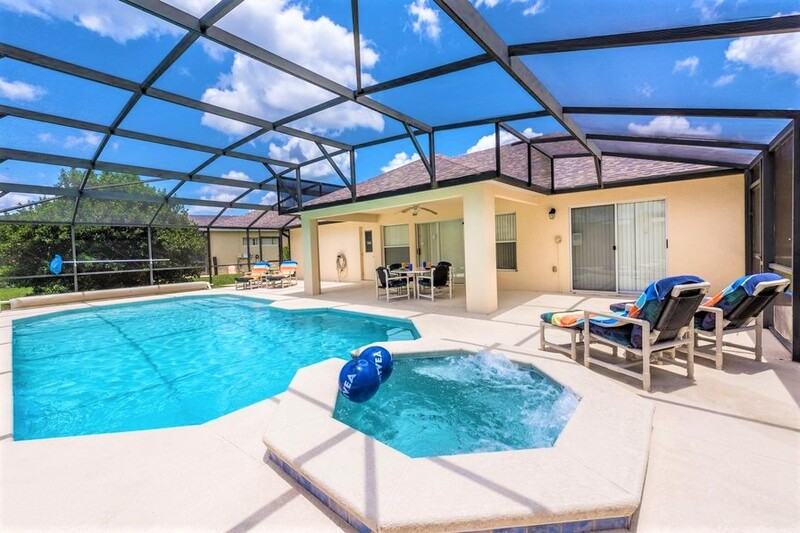 Today we present to you some of the best villas in Florida, conveniently close to Disney attractions (among others) and all with wonderful amenities like pools and games’ rooms. 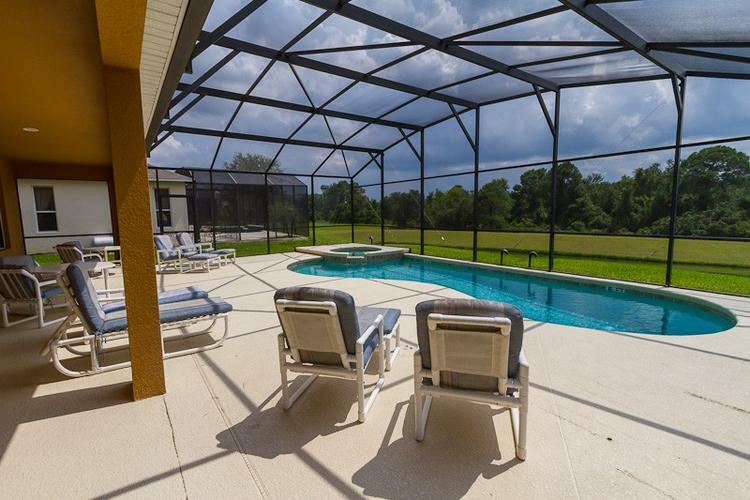 This wonderful villa sleeps 10, has a beautiful private pool and is just 15km to Disney. There’s also plenty of opportunities to sun yourself at the beach which is also close by, as well as a golfing green and a wide selection of bars and restaurants. This pretty villa in Davenport sleeps 8 and has a lovely private pool and garden. 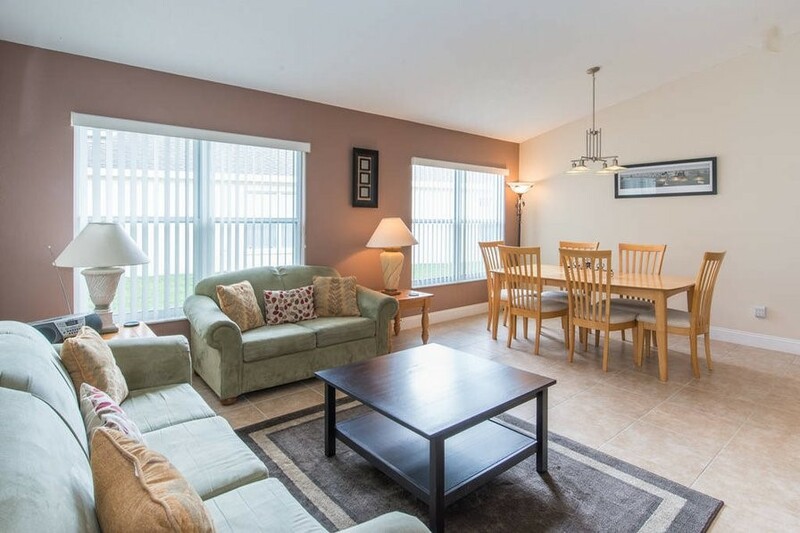 You’ll also be close to golfing facilities and only 15km from Disney. Better still you’re a mere 25km from Sea World and 35km from Universal Studios too, making it a great choice for a family holiday. This stunning villa sleeps 16, making it ideal for those big family get-togethers. It’s also got a lovely indoor pool and a games’ room complete with a pool table. The villa is also ideally located near bars and restaurants, as well as being a stone’s throw from Disney. This luxury villa is able to sleep 14 and boasts some lovely modern interiors. There’s also a great private pool perfect for family fun and even two Disney themed bedrooms for the smaller members of your party! The best part? You’re less than 12 minutes from Disney! Glisten Villa is a great choice for a memorable family holiday. 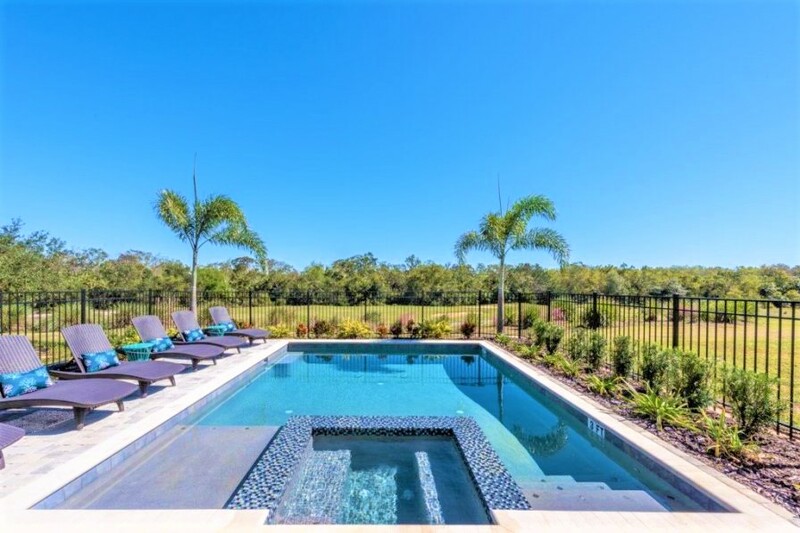 Sleeping up to 15, it also provides a private pool and garden, as well as plenty of attractions within the community such as fishing, tennis courts and a spa. Disney is a pleasant 8-minute drive away, whilst Sea World and Universal Studios are a mere 10 to 15-minute drive. This villa is ideal for a Disney holiday. Able to sleep up to 16 and located on the lovely Emerald Island resort, you’ll find a clubhouse that includes a volleyball court, a children’s adventure playground, and a games’ arcade. You’ll also find yourself close to the beach and only a few miles from the main attraction itself: Disney! 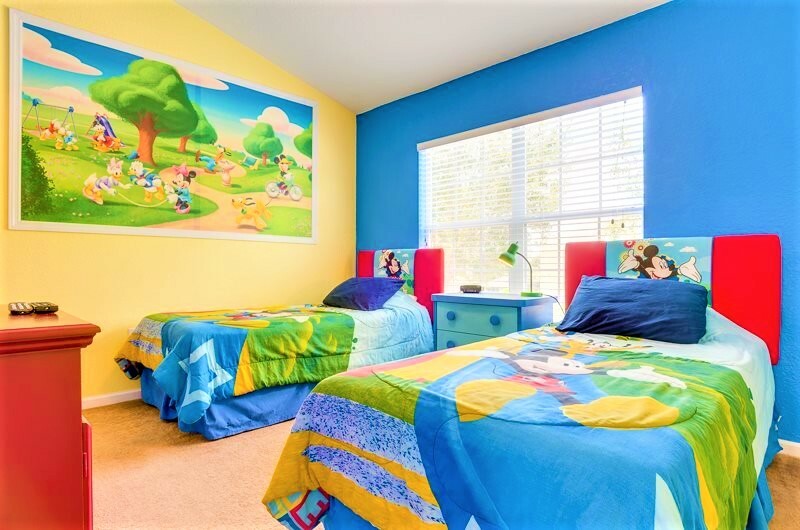 This charming villa sleeps 6 and has a twin bedroom celebrating the most famous mouse on the planet! There’s also a communal pool nearby as well as plenty of bars and restaurants. Disney is only 8km away and 29km for Universal Studios. Sleeping up to 8 and with its very own pool, villa Betty Boo is certainly a head turner. The onsite amenities include a basketball and tennis court, two children’s play areas and a golfing green close by. Disney is 20km away and there’s also plenty of eateries to enjoy yourself in too! This mini house of mouse is lovely for a family holiday. 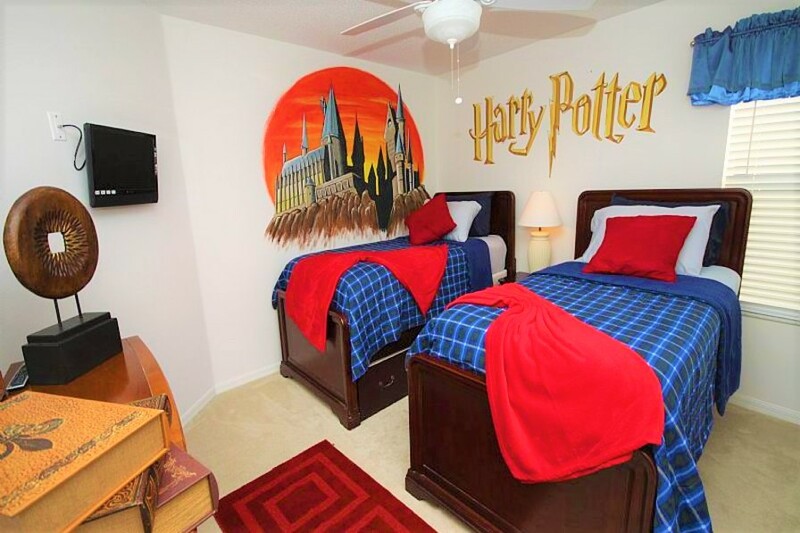 Sleeping 6 with some great Disney décor, it can also boast a private pool and a tennis court. Only 5km from attractions like Disney (as well as many others) this cosy villa also has plenty of places to eat out close by making it great for all the family. This great villa sleeps 8 and has a private pool, garden and is close to a golfing green. There’s even a spa and jacuzzi on offer and of course, you’re not far from the action, with Disney only a 10-minute drive away-enjoy!